According to recent tweets on their blog, Peter Soukup, Tina Thomas and Luba Roytburd slept in Athens, Georgia, last night. That’s point G on the map above. 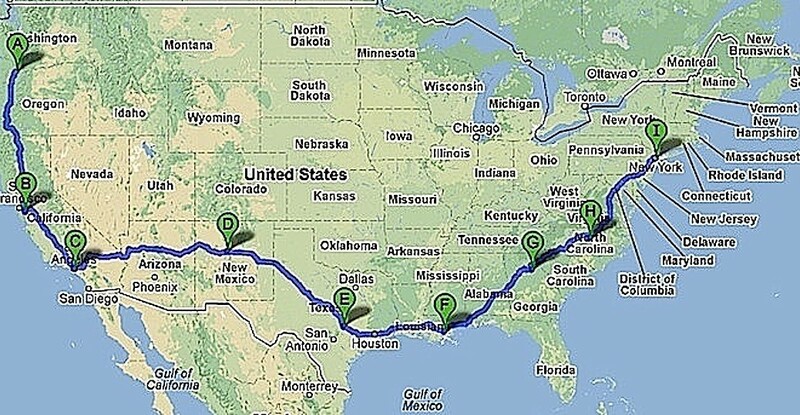 They have driven over 4,000 miles and should arrive in New York city on Sunday (or Monday, at the latest). 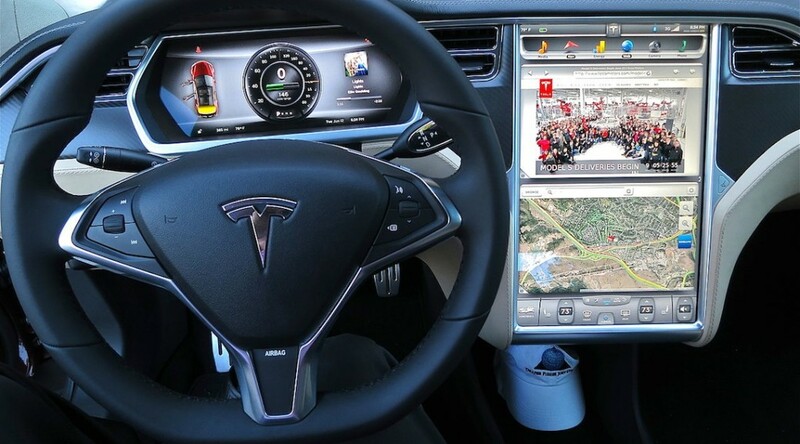 Their trip shatters any misconceptions about taking road trips with an EV, at least in a Tesla Model S.
A Tesla Model S has driven more than half way across North America. Tina Thomas and Peter Soukup left Portland, Oregon, on December 25 and their last tweet, posted twenty hours ago, states “And into Alabama as the sun sets :).” They are expected to reach New York City by January 7th or 8th. Peder Norby’s interest in renewable energy goes back to his wind powered home in Denmark. Even then, Peder knew that someday he would drive an electric vehicle. In 2005, he and Julie built a 4,600 square house, overlooking the Agua Hedionda Lagoon in Carlsbad. Peder wanted a cheaper form of transportation, powered by sunshine. Julie was more concerned that it be dependable, comfortable and fun to drive. 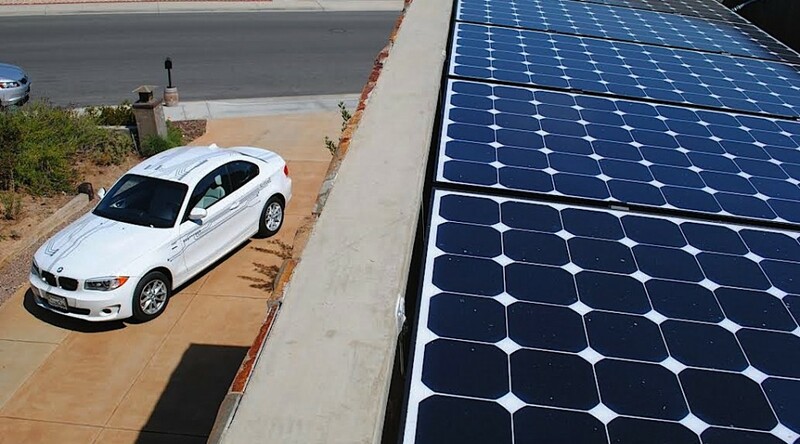 They installed 21 solar panels on the roof and a year later bought their first EV. Like most first time EV owners, they assumed it would be necessary to hang on to their “gas car.” That proved to be true until 2009, when Peder bought a BMW Mini E. As a County of San Diego Planning Commissioner, he drives all over the county, but found the Mini E was taking care of all his needs. His gas car just sat in the garage. So he sold it.